Whether you’re looking for a light, nutritious breakfast or a healthy snack or dessert, this smoothie is your go-to! 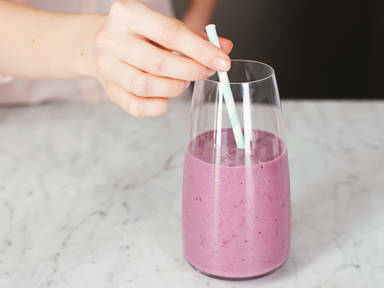 Antioxidants from blackberries, fibers from bananas, and calcium from almond milk disguised in a creamy and sweet drink—ready in just 5 minutes. Not to mention, it’s vegan too! Use frozen bananas for a slushy texture, for those sweltering summer days.